Installing vinyl siding is a great way to take care of your home while offering you the opportunity to add some personality. The relatively inexpensive and easy renovation can be a fun way to give your house a complete makeover. There are a lot of colors to choose from when picking out the vinyl siding you want to have on your house. With seemingly endless possibilities, the decision may be a bit overwhelming, but it doesn’t have to be. 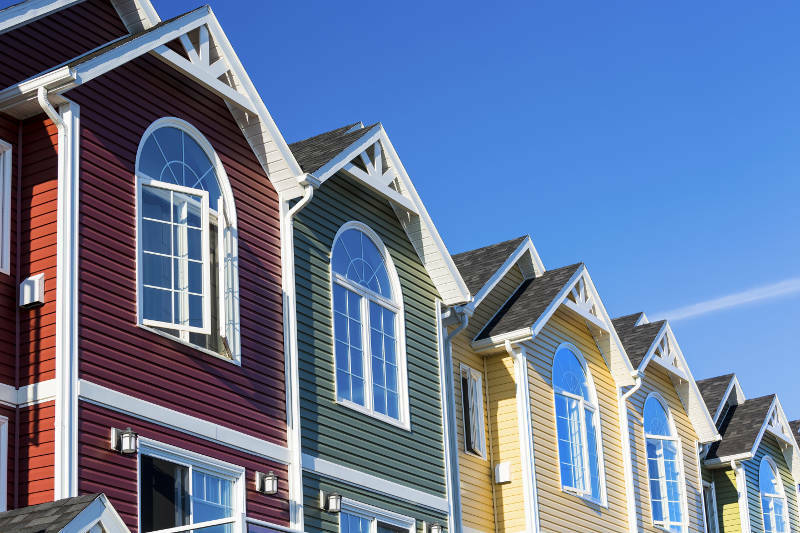 We’ll help you find some awesome vinyl siding color combinations for your home. There are a few simple things you should keep in mind when choosing a color for your vinyl siding. Do You Want to Match the Neighborhood? While this isn’t important for everyone, it’s certainly something you may want to consider. Some neighborhoods even have specific organizations in order to keep houses relatively uniform to keep up the look of the neighborhood (as well as the overall value of the surrounding homes). 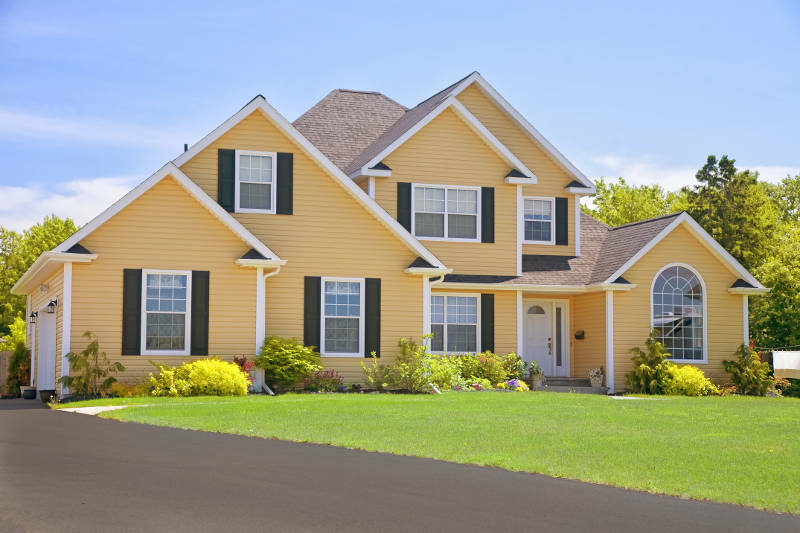 Even outside of obligation, you may want to keep your vinyl siding relatively the same color scheme as the rest of the neighborhood. People often find this aesthetically pleasing as well as it does preserve your real estate value. Certain colors will impact how well your house absorbs sun. Especially if you live where there’s a lot of extreme weather temperatures (or weather is relatively consistent), it may be wise to keep this into consideration. The color of your home can really impact the atmosphere your house will give off. 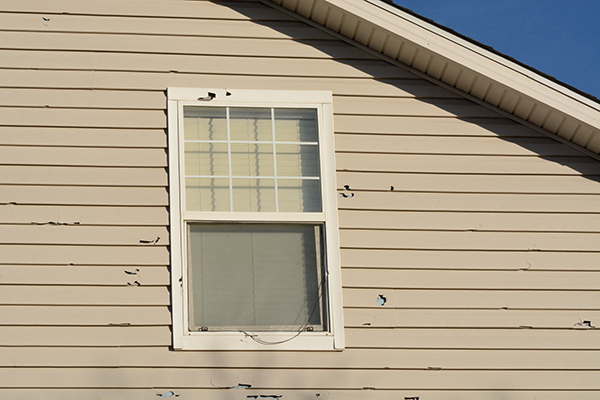 The size of your house is one factor that may greatly affect the impression your vinyl siding will leave. 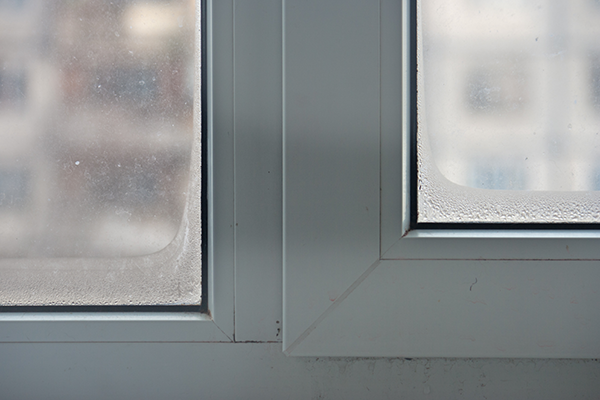 The exact architecture of your home can also effect the impression it leaves. It’s also important for some people to keep their home an appropriate style compared to the period their house was built for historic reasons. If you don’t plan on changing your roof shingles, it can be a good idea to keep the color of your roof in mind. You want the vinyl siding to match or compliment the roof otherwise it may look weird. While everyone’s taste is different, there are still some color combinations that are very popular among homeowners. We’ll go over a few of our favorites below. Blue and white is a classic color combo that’s bold – yet professional. This is a nice look that can really fit any size or style home. Depending on how light you would like your vinyl sliding to be, you can change which blue to use. Dark blues, like navy, have a more regal and overpowering effect where a nice light blue would come across as warm and inviting. Neutral trims go best with blue, specifically white trim. If you already have a brick structure on your home some may even go a little adventurous and make that trim red or brown, however, white is the safest choice. Green vinyl siding is a very inviting and fresh color. It comes across very nice and friendly. It’s nice if you’re looking for a color that’s not too popular, but also not too adventurous that your home would stick out like a sore thumb. Like when you use blues, you can adjust the darkness to your liking. Larger houses tend to look better with lighter, less intense greens that give homes a cool and fresh look. Darker shades of green can look great on smaller houses or for when you want to give your home a more “into the woods” feel. Neutral trims go best with green. Most people opt for a white or a nice, light beige. The darker the shade of green, the better white tends to look. Yellow is a bright and cheerful color that’ll make your home seem nice and warm. A light pastel yellow home will always look inviting, no matter the size or structure. Although it’s more intense than the other popular combinations, it’s not overpowering at all. This is a common color choice for people who live near the beach or in very warm weather as it’s a great color choice for reflecting the sun. That being said, it looks great no matter where you live and gives your home a warm, inviting look. If you find that you want a cozy, country look to your home, red and white is a great vinyl siding color combination for the traditional American household. It’s a rather bold combination that isn’t for every home style, but it can give you that warm, barn-look that really feels cozy. Red can look especially good when you have a rather dark roof color, and is best to always trim with white. Another safe choice that looks good on virtually any home is brown. There’s no color more standard than a brown house, and it’s a choice that’ll leave your home looking classy and refined. While there are a few bold trim choices you can make with brown, they tend to heavily depend on the style and size of your home and neighborhood. If you’re feeling adventurous, you may want to consider a red, yellow, or even green combination – especially if your home has any brick additions. 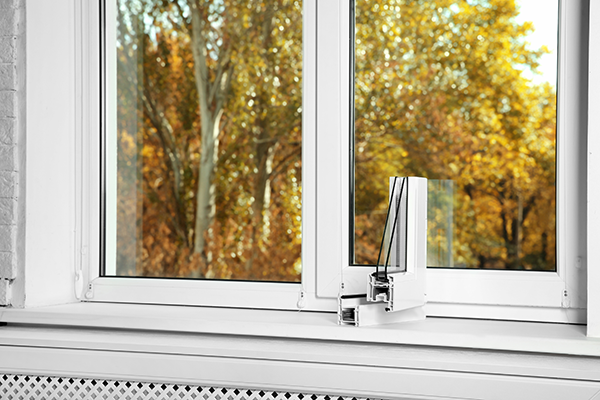 However, if you’re looking to keep it simple, white trim is a safe option. One thing you should try to keep in mind is a brown house can be a little too much when you combine it with a brown roof. Grey and white is an amazing mix if you’re looking for something calm and collected. It has more of a royal feel and gives off the impression of a strong household. Even opting for a lighter shade of grey to stand through the warmer weather, the colors come across bold and empowered. White trim goes best with this vinyl siding color choice, no matter how dark you want it. It can also be important to point out that the customization of your house doesn’t stop there. Deciding the color to paint your shutters and doors can be an easy way to sneak in some bold expression, even if you opt for a safer color for your siding. A little splash of red or a nice dark green can be the perfect way to subtly let your house stand out from the rest. Deciding the color combination of your vinyl siding is the perfect way for you to express yourself and take control of your household. If you ever have any questions or concerns about what to do with your house, contacting your local construction expert may give you the insight you’re looking for. It’s much easier to consult with a professional now rather than realize you don’t like the colors after it’s done. Feldco offers homeowners vinyl siding in a wide array of colors and styles. We’ve been serving the Midwest for over 40 years and have helped 350,000+ homeowners with their home remodeling projects. 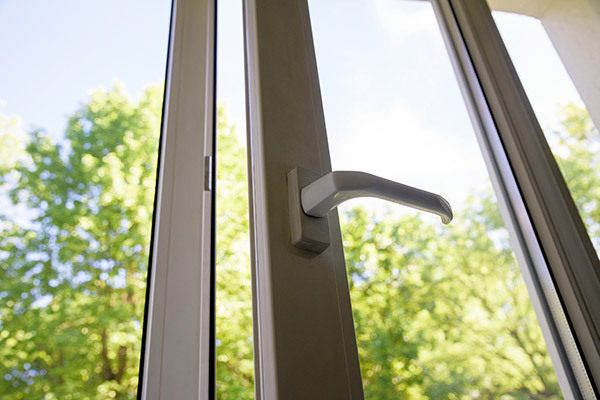 Get a free quote now and see why so many homeowners have trusted us.